one other can't import error with module easygui ? Last edit: 08 Jun 2016 09:17 by cncbasher. 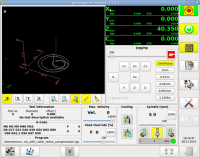 Yes easygui is a download ( easygui.sourceforge.net/ ). Sorry I thought I included it in the original zip. 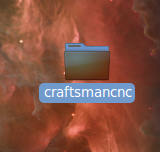 I have it in the /configs/craftsmancnc/ folder on my system. Many thanks to Pietvr and Cncbasher for the instrutions. I can solve some of my problems. 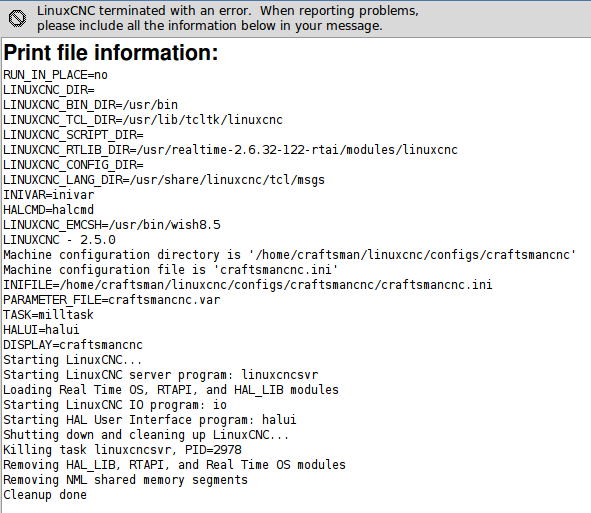 But now a new error appears "Import Serial". Anyone know how to solve? Last edit: 08 Jun 2016 17:39 by aer73. Another error fixed ("Import Serial". ), I install Python-serial and now not appears. I hope one day have installed. Someone knows how to solve this new errors? Last edit: 08 Jun 2016 18:23 by aer73. Iḿ Using Debian not Ubuntu. Maybe is the end of my match. Last edit: 08 Jun 2016 19:31 by aer73. 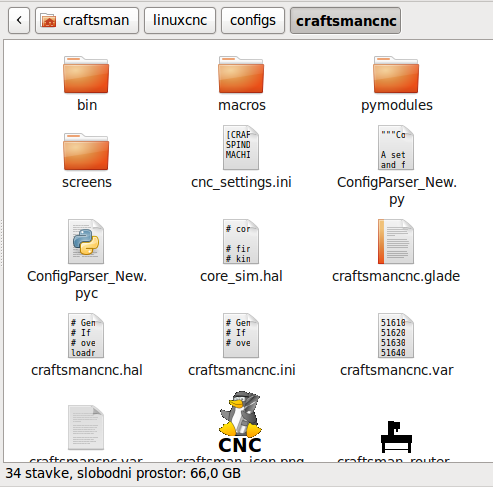 I hope can work with it under Debian. Perhaps someone is funny but I do not! ?